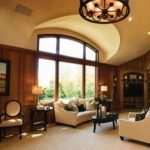 Your choice of window can dramatically alter your home’s aesthetic and feel. Do you want multiple large windows to enjoy a panoramic of the seaside? Are simple elegance and functionality your goal? Or do you prefer basic geometric, yet architecturally sound portals of light to accent the subtleties of your area? Whichever your desire may be, Renewal by Andersen of Southeastern Mass and Rhode Island stands as your first call for window replacement in Massachusetts and Rhode Island. Regardless of your decision, we here at Renewal by Andersen of Southeastern Mass and Rhode Island assure not only the finest quality materials, but also energy efficiency in all of our makes and models. We have designed every piece of our windows, from glass to frame to our patented, revolutionary Fibrex material, to give you an environmentally conscious peace of mind and an economic breather. Our dedication has repeatedly earned us the Energy Star Sustained Excellence Seal, so rest easy in your home knowing you save each month on heating and electric bills by choosing our superior craftsmanship. Each window we install is backed by an outstanding Renewal by Andersen warranty. Renewal’s 10-year and 20-year limited lifetime warranties will protect you from any unexpected fees long after our installation is complete. You won’t find a more comprehensive set of warranties offered by any other company that specializes in replacement windows for MA and RI. For each and every project, we deliver replacement windows in Massachusetts and the surrounding area to optimize ventilation and scenic beauty for your home. 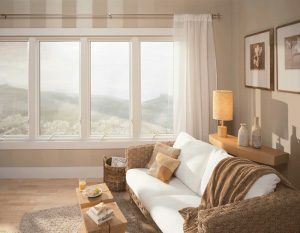 Choose tradition with our double-hung model, or welcome the breeze with our casement selection. For a pleasant afternoon, perch yourself on a seat crafted specifically to accentuate your bay window and an unmatched panoramic view of the waterfront. Accent the architecture of your home with one of our specialty windows. If, however, you worry over the ever-changing New England weather, remember that your replacement windows are built to defend your home from wind, water, and debris and to seal out the harsh winter chill year after year. Select the style that fits your room and home and experience new dynamics of light, sight, and air. Watch the world around you at your own comfort. Experience your view in new ways. Bask in your neighbors’ envy at your home’s new look. Contact Renewal by Andersen of Southeastern Mass and Rhode Island for your window replacement in Massachusetts and the nearby areas. To learn more about replacement windows in MA and RI, call Renewal by Andersen of Southeastern Mass and Rhode Island to schedule your FREE in-home consultation with our local window experts. Renewal by Andersen of Southeastern Mass and Rhode Island leads as experts in doors and windows. We have deep roots in the local communities, and work tirelessly to improve the homes of our neighbors. Call us at 401-473-2739 to set up your free, no obligation in home consultation at no charge to begin your home improvement projects.